You could be missing out on an opportunity to not only make a difference in someone else’s life, but your own life too. Your story is a combination of your passions and life experience. When you take that wisdom, put it on paper and get it published, everything changes! Becoming an author makes you the expert and differentiates you from others in your industry. Your knowledge, experience and expertise could better the life of someone, just like you. Whether you want to inspire, inform, motivate or persuade, writing a book will guarantee your story gets into the hands of those who need it most. “Book Bound” helps authors get their book into the hands of those who need it most — and now, you can, too! 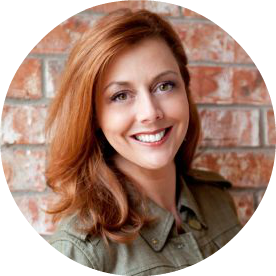 The “Book Bound Online” experience is led by award-winning author, Zig Ziglar Motivational Speaker and “America’s Productivity Coach,” Michelle Prince. In Michelle’s live event, hundreds of participants have discovered their inner authors and went on to publish one or multiple books as a result! Now, everything covered at the three day live event has been pulled together into the perfect package, so you can become an author anytime, anywhere. "Michelle Prince not only helped me with my book, increased my social proof, and helped me close 20% more of my sales. The return on investment for her program was 30:1. For every dollar, I put in her program, it has returned $30. Smart business move? You better believe it." “Book Bound Online” is a digital version of Michelle Prince’s most popular live event, The “Book Bound Workshop.” This 3-day, one-of-a-kind workshop, is designed to empower soon-to-be authors (just like you!) to write, publish and market their books. We’ve taken everything from the live event and made it accessible to you anytime, anywhere. Whether you’re at home, at the office, or only have 20 minutes a day, you can learn exactly what it takes to become an author and publish your book. This phenomenal workshop has helped hundreds of authors get their stories out of their heads, onto paper and into the hands of those who need it most. And, if they can do it, YOU CAN TOO! The truth is, writing a book is simple! It’s just like a recipe, all you have to do is follow the steps. “Book Bound Online” will teach you how to get started writing your book and finally give you confidence in your writing. With step-by-step instructions through the writing, editing and publishing process, you’ll develop your book topic and find your story, so you can change the world and leave a legacy with your story. This course will also show you how to market your book and leverage author status, so you can get your book into the hands of those who need it most. How Can Becoming An Author Change Your Life? Stop Dreaming About Becoming An Author — Now Is YOUR Time! Imagine if you had the perfect solution to someone else’s problem, but without your book, they never find it. You have a responsibility to share your great knowledge and expertise with the world, and get your book into the hands of those who need it most. “Book Bound Online” takes out the confusion of writing a book and gives you simple, actionable steps to make you successful. Don’t put off writing your book another day -- the world needs to hear your story! Writing your book will change your life in countless ways and welcome you into the “Book Bound” community of inspiring, motivated, like-minded authors who are changing the world with their unique stories. And, the best part of this digital course is that it’s there for you 24 hours per day, with lifetime access, at your fingertips, when you need it. No more excuses… it’s time for YOU to become a published author!